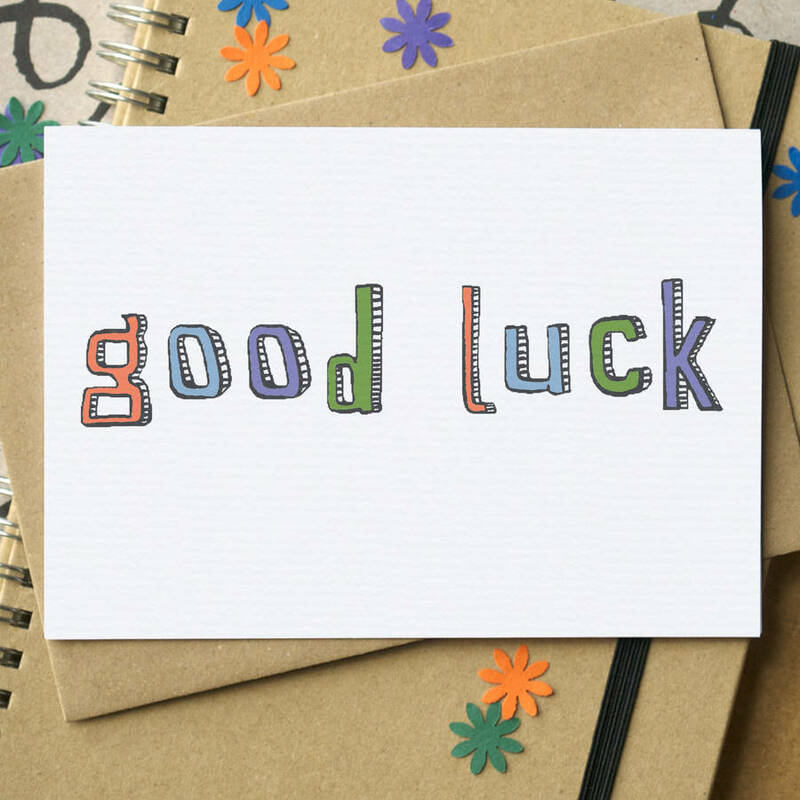 A simple Good Luck card - perfect to pass on your best wishes to a loved one. 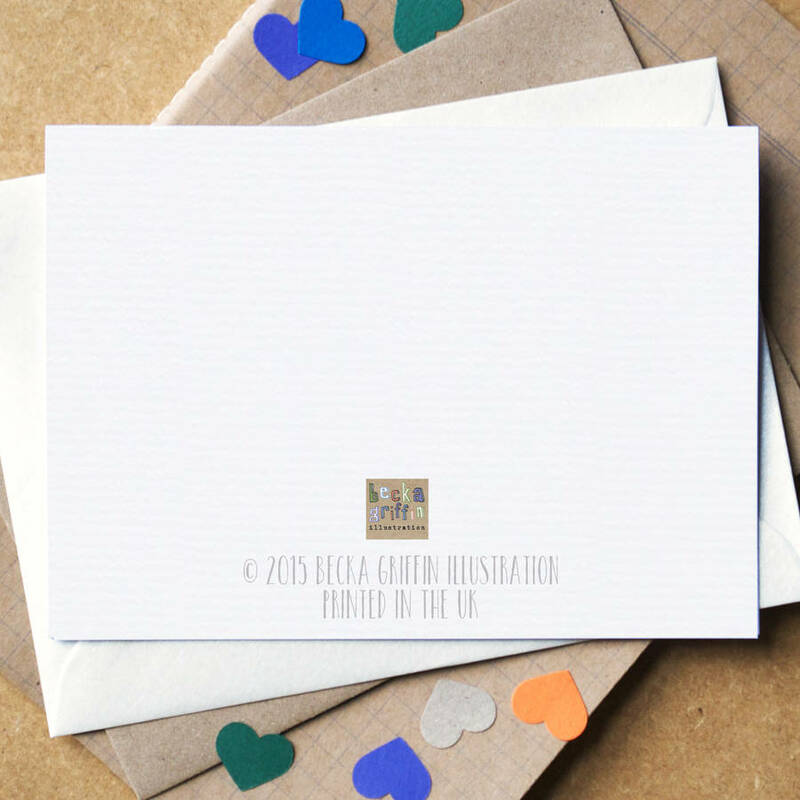 This card is a simple, unfussy card, and it is completely blank inside for your own message. 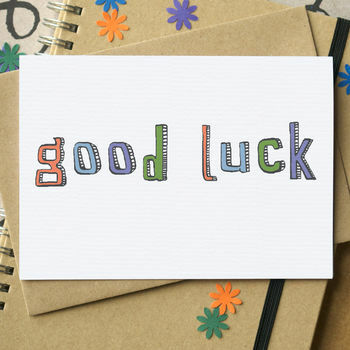 It's a modern card, with the simple phrase "Good Luck". Perfect for a job interview, driving test, moving house, starting Uni or perhaps taking exams. The multicoloured font to the front was originally drawn by hand. You can choose to send this card direct to the recipient, which is perfect if you are overseas, in a hurry or want to save on some postage. Cards chosen with this option will include the message exactly as specified in the text box provided, and sent in an envelope directly to the contact name and delivery address provided, within my usual time frame. The card is printed on lovely textured white card stock and packaged in cellophane. The card measures approximately 10.5 x 15cm. The brown envelope is slightly larger. 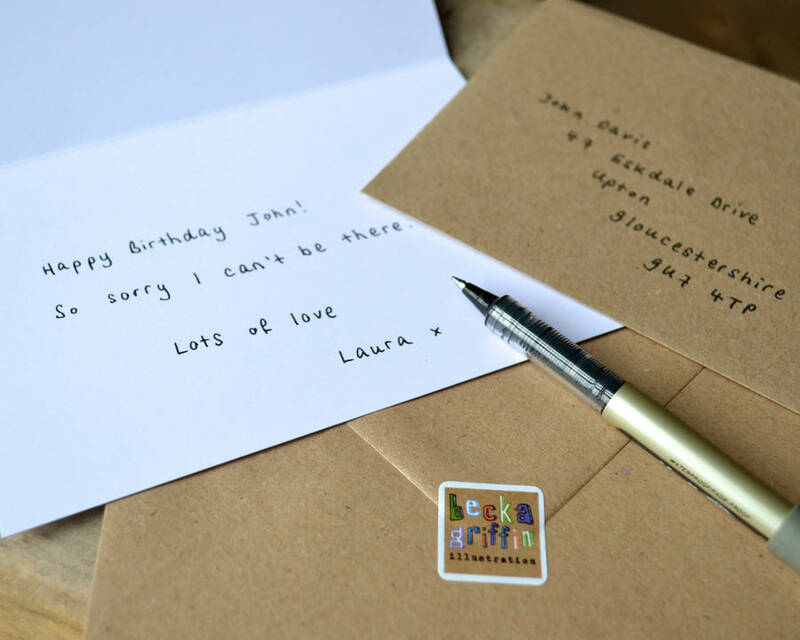 This product is dispatched to you by Becka Griffin Illustration.